Dahlias. 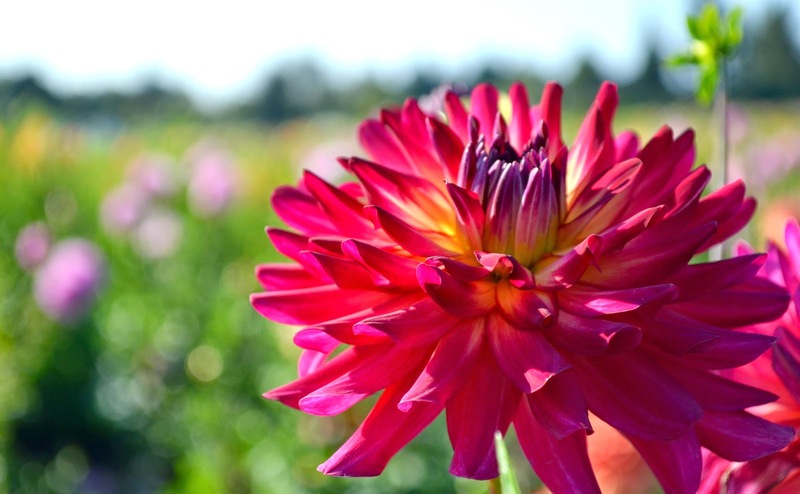 When I think of Dahlia's, I think of bright, balls of color, lighting up summertime gardens. 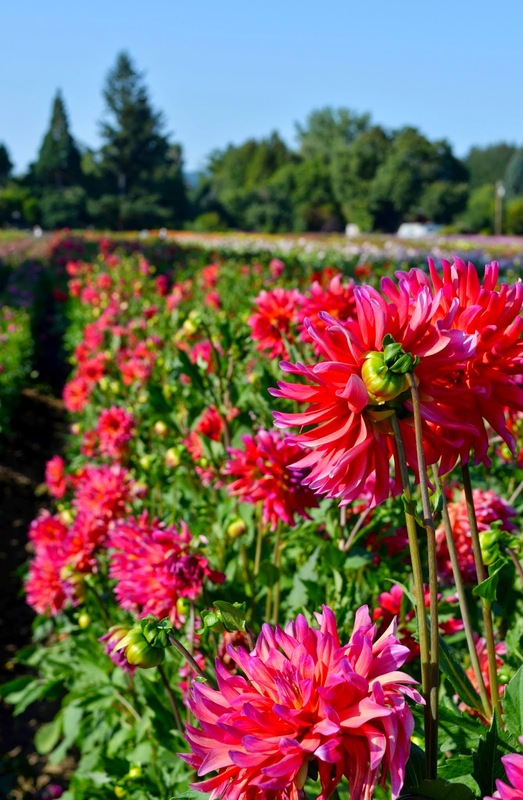 I took the family to walk through the open fields of Swan Island's Dahlia Festival in Canby, Oregon, to see the blazes of color in person. I've always had a soft spot for Dahlia's. Their blooms arrive in July and last through the first frosts. 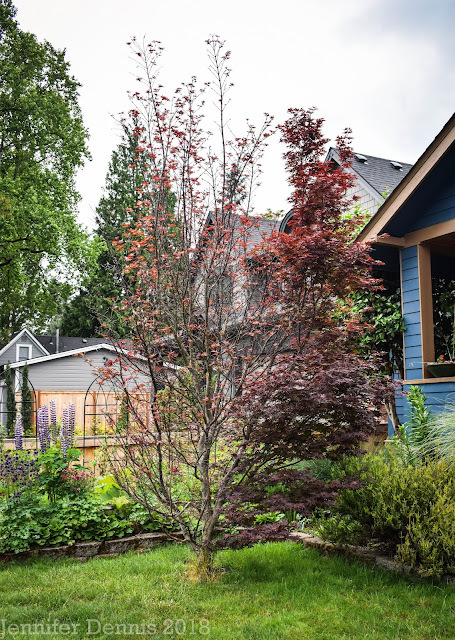 They are fairly hardy here in the Pacific Northwest, although the tubers do require digging up in colder winter climates. 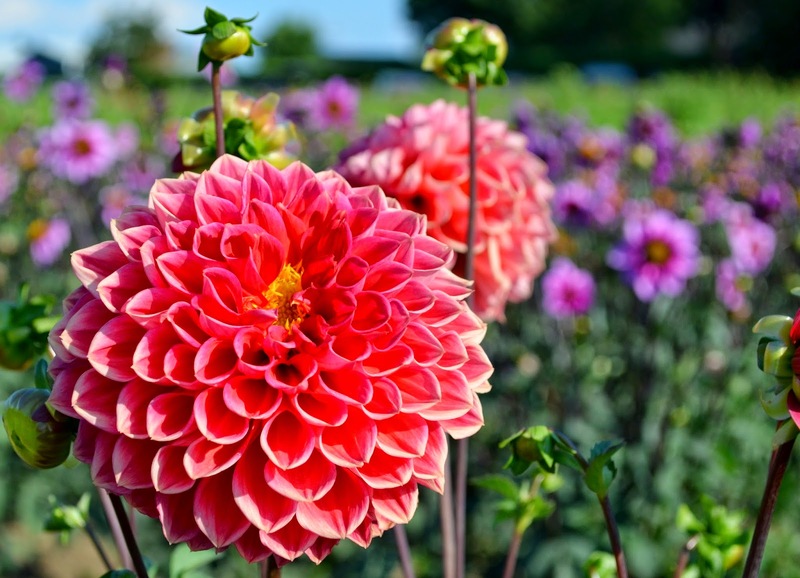 You can take your pick of bloom size and color, resulting in a full season of cut flowers. Dragonberry, Swan Island Dahlia's. My son's favorite..of course, because it had the word dragon in it. There is nothing like walking through a field of flowers. 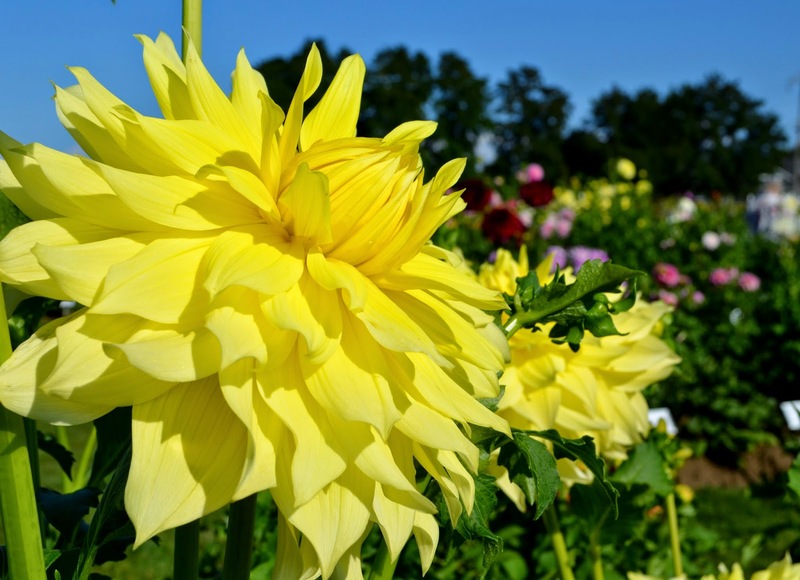 I highly recommend a visit to the Dahlia Festival which next opens Labor Day weekend. Parking is free and there are yummy food vendors to tempt you. Check their website for festival details. I was very intrigued by some of the new dahlia's in their display gardens. I saw blossom shapes that very closely resembled newer hybrid styles of echinacea. Gorgeous blooms. I was glad the family agreed to go see the fields of color. We each had fun picking out our own personal favorite. I guess I might need to purchase some tubers..now that the kids have fallen in love with dahlia's...just like mom. 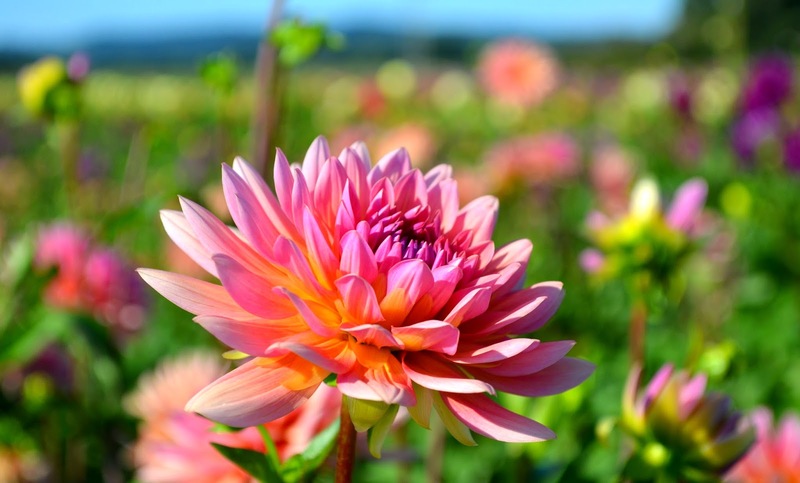 I just ordered some Dahlias from them, and saw a notice about this festival on their website. It was very tempting, but we were just down in Portland last weekend, and that may be a little too much traveling. I might come down next year for it. I ordered (for delivery next spring) one of those Echinacea-style ones, with the poufy center and ring of draping petals. You got some great photos, thanks for sharing them. I've ordered from them before and was not disappointed. It was fun to walk the fields to see the blooms in person and to have everyone in the family pick out a favorite. The Echinacea-styled ones are really neat. Which one did you get? It's Totally Tangerine. I had a hard time narrowing my choices down. I could have spent twice as much! oooooh, I have been drooling over Totally Tangerine! Great choice! gooorgeous photos, Jennifer. I've never been, perhaps I should go next weekend! 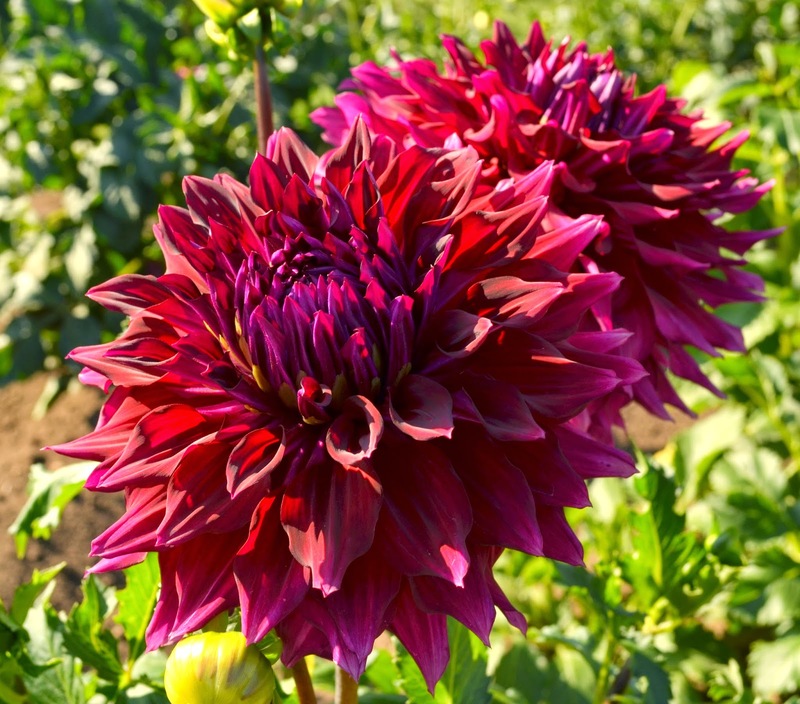 My friend Julia grows dahlias in her sister's backyard and sells them at our farmers' market. Her stall is the most colourful at the market, alive with the varied hues of the dahlias. She sells out pretty darn quick too. I always see that exit to Swan Island when I drive to Portland;and wonder how far it is. Canby isn't too far away ? 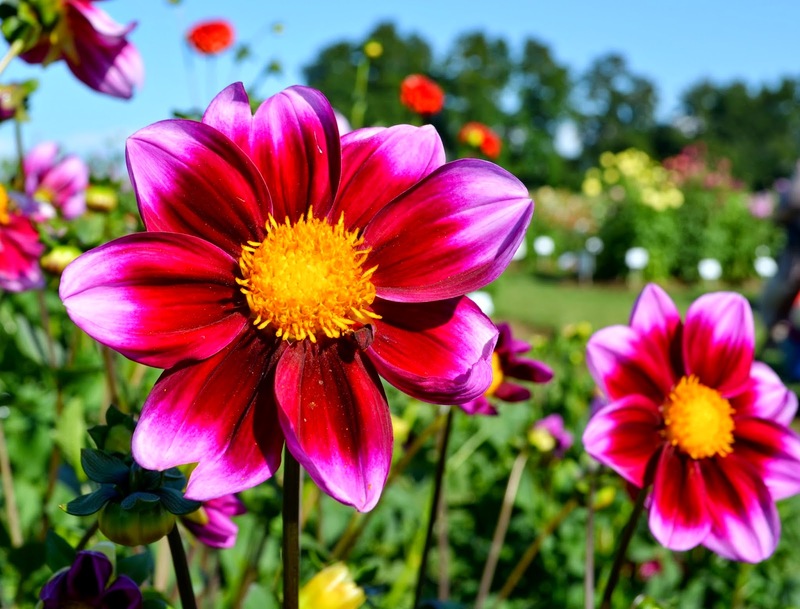 I'll try to go, I do love Dahlias. My Dahlias surprisingly survived in the ground this winter . Walking through those fields sounds like an amazing experience! I would have had big trouble choosing a favourite. 10 favourites, maybe... I only have one Dahlia in my garden, but it is a good one - "Bishop of Llandaff" - red flowers on very dark foliage. 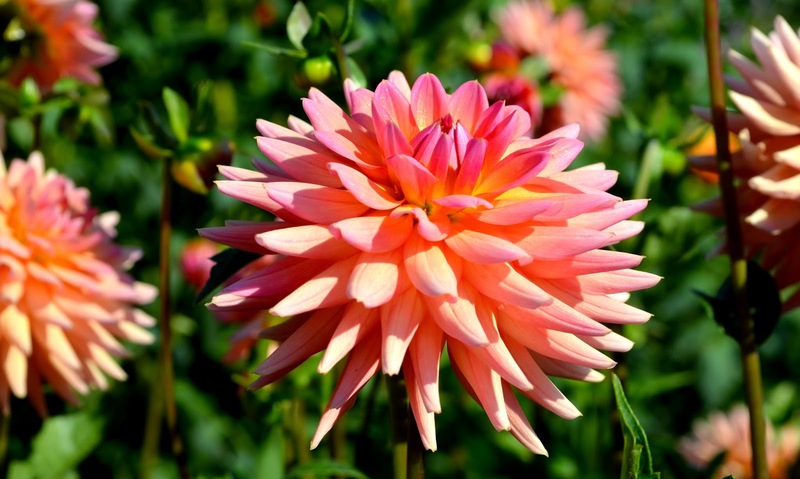 I love Dahlia and grow some in the garden, I am pleased to read your post! Sue, I think you'd find dahlia's too your liking, great for cut flowers and the blooms keep on coming. Hi Jenny, they are so beautiful! I have never tried them but was at my brother's place last week and really admired his. I'm going to get some tubers next spring and try them (in pots, I think). Lovely photos in your post, as always. Your son would be right at home in my garden. I can't pass up any plant with "dragon" in its name. I stumbled upon this festival last year, made a list and bought them from their booth at the YGPS. Sadly, the gophers find the tubers quite yummy so one failed to put in an appearance, one barely made it above ground and my favorite, Bed Head, was looking fabulous until it got chewed up clear to the stem. Grrr. Darn gophers! I am sorry to hear that 'Bed Head' was chewed to the stem. That is the worst. I hope there is enough of the tubers left to bring it back next year.